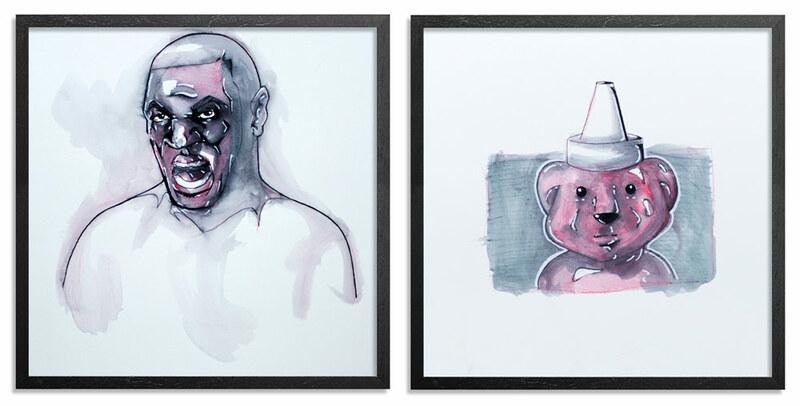 1xRun: Tell us a little bit about this series of work? Marlo Broughton: The title of this series is based off of my dreams. All of the images in this collection deal with something I’ve had in a dream at one point of time. The main figure is a fully covered being whom has a reoccurring appearance in my subconscious. Along with a few random objects such a Honey Bear and Mike Tyson. 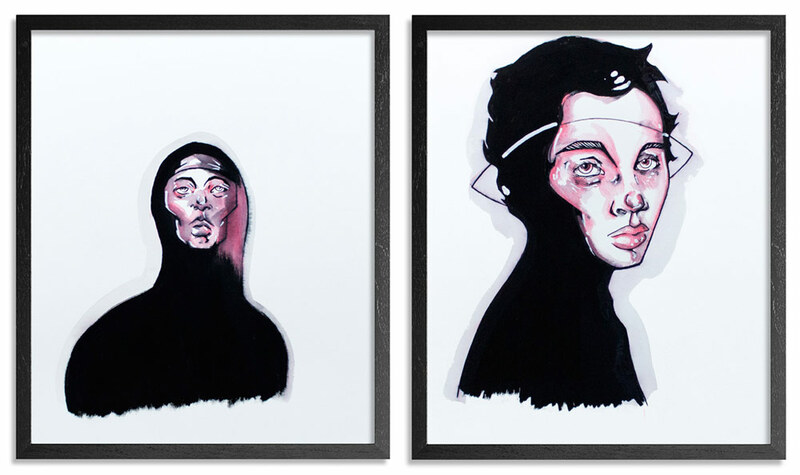 1xRun: Were these pieces part of a recent theme, series or show that you had? If so how did they fit into that given grouping? 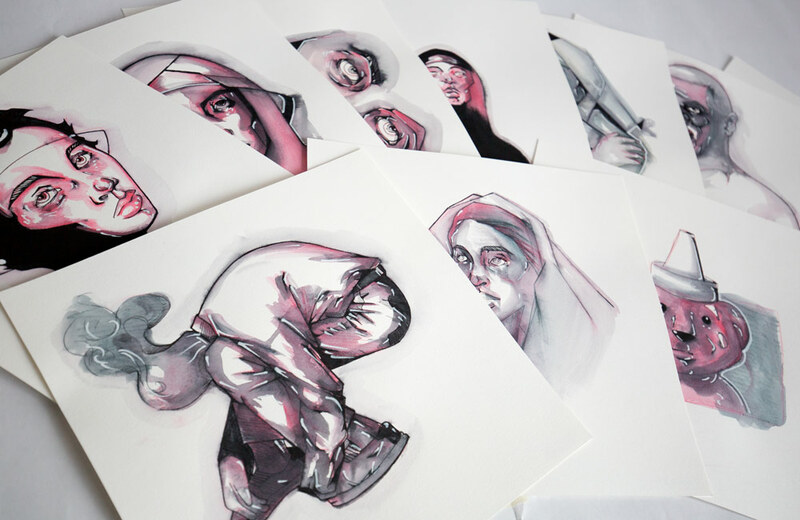 Marlo Broughton: They originally started off as studies. I’m working on a series that deals with my conversion to Islam in 2006. 1xRUN: What materials were used to create these pieces with? 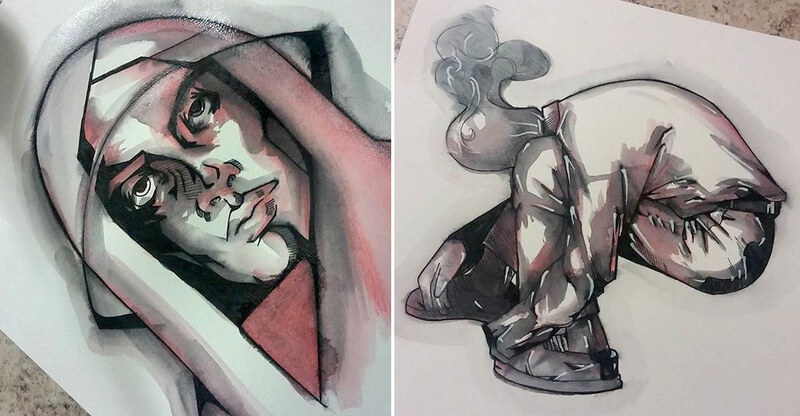 Marlo Broughton: Watercolors along with fine point red and black in pen. 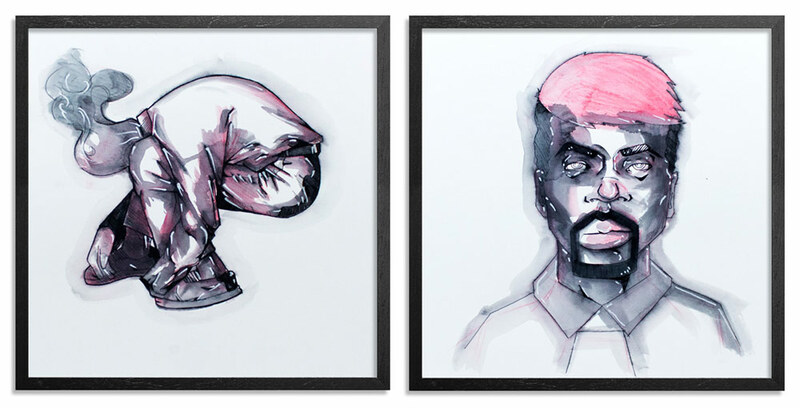 1xRun: When were these pieces created and how long did they take to complete? Marlo Broughton: These pieces were drawn last year during the Murals In The Market Mural Festival. In total I did this series in a week. I was juggling a lot of things during that time and I was in the process of opening an H&M along with painting my mural. This flow of series came out of no where, I was probably trying to maintain my balance in some shape or form. 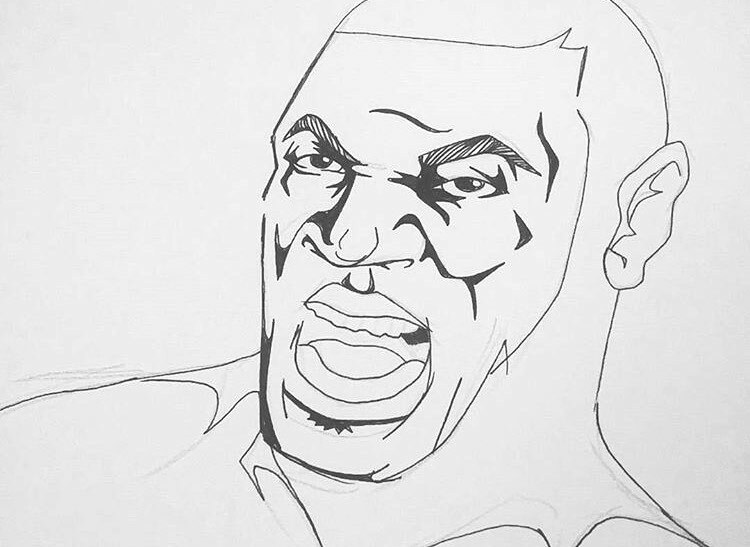 Marlo Broughton: My favorite piece is the Mike Tyson. It symbolize my conversion and dealing with my mixed views of western society. The good fight. Of the day to day workings. 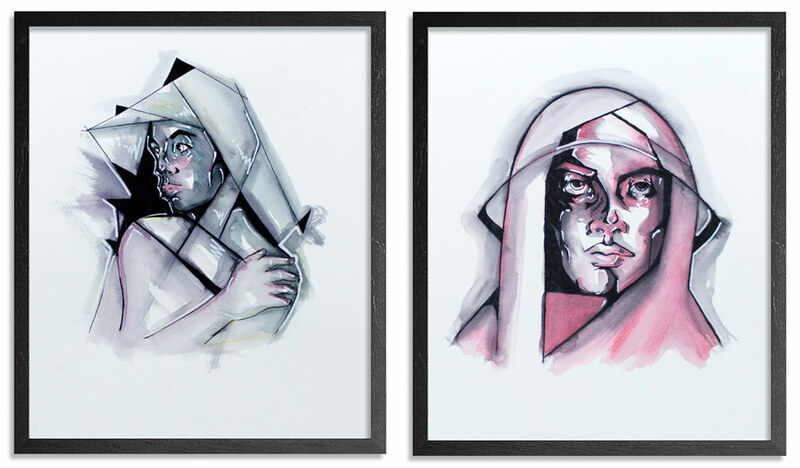 1xRun: What do you feel is unique about this series? Marlo Broughton: The lack of color. Marlo Broughton: Alhamdulillah w AShokrulillah. 1xRun: As we start a new year, tells us a bit about some of your favorite moments from 2015. Marlo Broughton: I don’t have a moment in particular that would be my favorite. I’m just thankful that people put me in positions of great opportunities and held on to their belief in me. So I am very appreciative to all of those who helped and guided the light. Such as being apart of Murals In The Market and the piano project for the DIA & Forward Arts. Nothing but love for them. Marlo Broughton: 2016 has already started off full speed. I recently painted for the Turkish military in Istanbul. I have a duo show in May in Chicago and Detroit. I’ll be painting in KL & Jakarta and my biggest event will be my solo exhibition in London at the WHO? Gallery.